Authors, South African; 20th century; Correspondence. Authors, American; 20th century; Correspondence. Their correspondence offers an intimate and often amusing portrait of these two men as they explore the complexities of the here and now and is a reflection of two sharp intellects whose pleasure in each otherÃ¢ÂÂs friendship is apparent on every page. 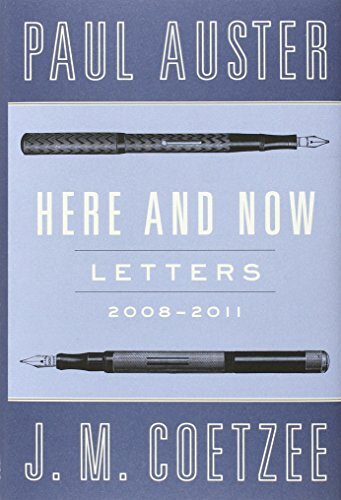 About: The high-spirited correspondence between New York Times bestselling author Paul Auster and Nobel laureate J.
from Penguin USA (March 4, 2014); titled "Here and Now: Letters, 2008-2011"